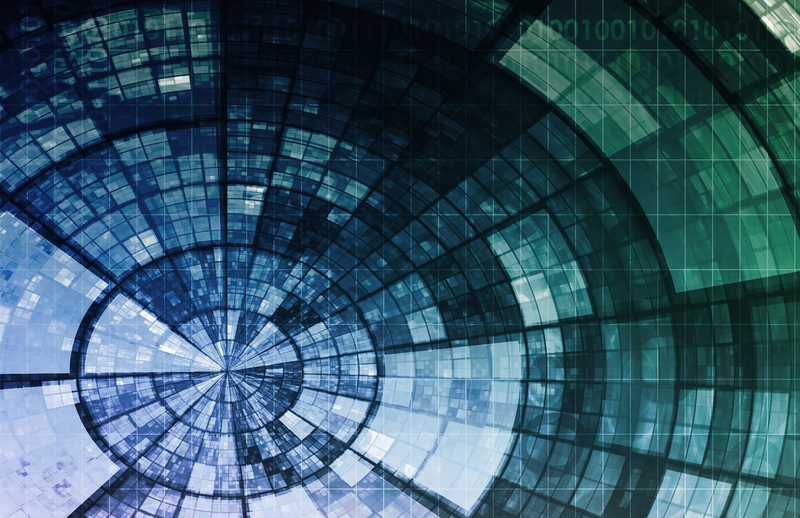 How can insurers define the digital future? Insurance and technology are inextricably linked. The risks we seek to manage have always been connected to the tools we use. But, as Accenture’s 2017 Technology Vision for Insurance points out , this relationship recently reached an inflection point. In the past, humans generally changed themselves to make use of new technologies—we learned to drive, we learned to type, we learned to code. We adapted to technology. But now modern technologies are sophisticated enough to adapt themselves to us. Technology has become “technology for the people.” At Accenture we’re predicting that digital tools are poised to empower humans in new ways. Some of the most noticeable changes will come from advances in artificial intelligence (AI), which is coming of age as a user interface. Less than five years ago, the best voice recognition technology took around three seconds to process human speech. Today, conversation-based tools like Alexa, the AI assistant in Amazon’s Echo speaker, have reduced that response time by more than half. Since users can only interact with Alexa through spoken commands—the Echo has no screen or other user interface (UI)—expedited processing time for voice input is crucial to the success of the device. Amazon’s success with Alexa is just one example of how AI is maturing and finding widespread adoption. It’s now consistently used to make any interface both simple and smart, driving faster adaptation of technology and better outcomes for people. For instance Tractable, a British tech firm, is applying AI to make life simpler for customers and employees. Tractable’s AI Review reviews photos of accident-damaged vehicles in real time. Adjusters can quickly assess whether the car is repairable and send the claim for salvage, repair or appraisal. Canada’s Manulife is using AI-driven natural language understanding to make life easier for customers. Biometric technologies mean customers calling Manulife simply say, “At Manulife, my voice is my password” to access their accounts. Fukoku Mutual Life Insurance in Japan uses IBM’s Watson Explorer AI to classify diseases, injuries and surgeries, as well as calculate pay-outs. Other Japanese insurers like Dai-Ichi are also using AI, as is GEICO in the US. GEICO’s virtual assistant, named Kate, helps users of GEICO’s mobile apps. Kate can understand natural language and can answer basic questions. Other insurers in the United Kingdom and Germany are experimenting with AI-driven chatbots to disrupt the market. With all the AI use across the industry today, it is no surprise that most insurance executives surveyed agree that the insurance business is on the cusp of an AI-driven transformation. As the examples listed above illustrate, many of these AI developments will focus on the UI experience, whether customer- or agent-facing. Our survey found that 80 percent of insurers are prioritizing ease of use and simplicity in their user interface to ensure a more human-like experience. In five years, more than half of your customers will select your services based on your AI instead of your traditional brand. In seven years, most interfaces will not have a screen and will be integrated into daily tasks. In 10 years, digital assistants will be so pervasive that they will make employees productive 24/7/365, operating in the background for workplace interactions, like creating video summaries right after an important meeting. 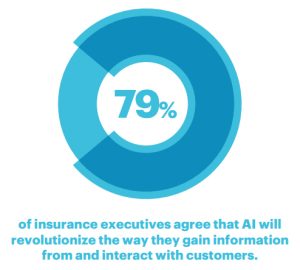 AI is one of the most exciting areas of technological innovation in the insurance industry right now. But it is far from the only one. Come back next week for a look at the second major trend identified in the 2017 Accenture Technology Vision Insurance report: ecosystem power plays. Or head here to access the full report yourself, which includes 100-day and one-year plans for insurers looking to kickstart their use of AIs in UIs.